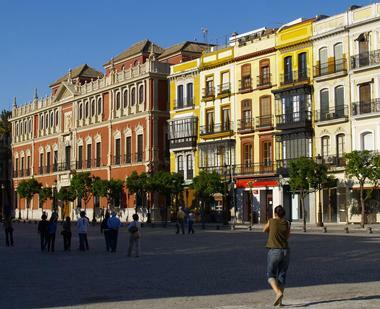 Nestled along the banks of the Guadalquivir River, Seville is southern Spain's largest city and is without doubt one of the most interesting and romantic cities in the country. Whether you are a consummate historian, a lover of architecture, a music fan, or an avid foodie, you will find everything your heart desires on the historic cobbled streets of Seville. 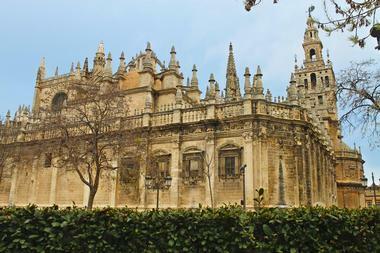 Here are the best things to do in Seville, Spain. The Antiquarium of Seville is a modern archaeological museum located right in the center of the city in the basement of the architecturally unique Metropol Parasol installation. 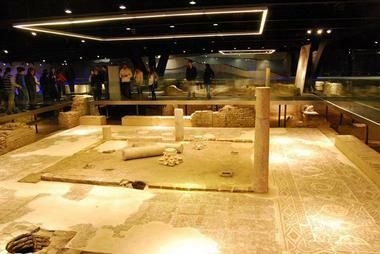 The antiquarium protects and showcases a collection of Roman and Moorish ruins that were uncovered during excavations for a parking garage. You can admire the remains through huge glass partitions and underfoot along walkways. There are eleven areas to explore, including seven houses with semi-intact mosaic floors, columns, and wells. 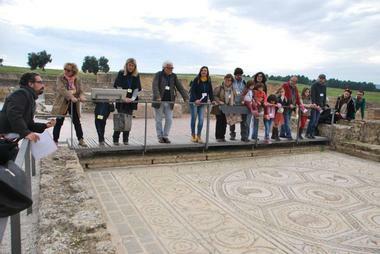 The Casa de la Columna is probably the highlight of the visit – it is a large house that was built in the 5th century AD and features a pillared patio and a wonderful mosaic floor. You will also be able to spot ancient fish-salting vats and various other relics. Anyone interested in ancient history and archaeology should be sure to add the Archaeological Museum of Seville to their tour itinerary. The museum occupies a neo-Renaissance style pavilion built for the Latin American Expo in 1929, which is well worth seeing in its own right. Once you walk through the doors you will find yourself surrounded by a significant collection of ancient relics dating from the early Paleolithic period to Moorish and Mudéjar items from the Middle Ages, presented in chronological order. A notable highlight of the museum is “Carambolo’s Treasure” from the Tartessian period, which is displayed in a dedicated room on the first floor. No visit to Seville would be complete without exposing your senses to Spain’s legendary flamenco dancing and music. You can immerse yourself in the spirit of flamenco at the Casa de la Guitarra, a flamenco cultural center situated in the heart of the Barrio de Santa Cruz (the former Jewish quarter in the medieval part of the city). 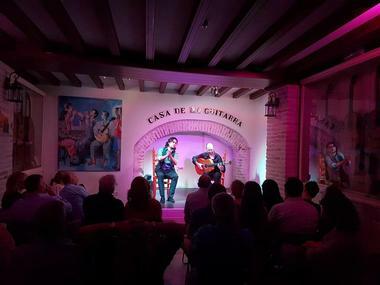 You can attend a genuine flamenco show including guitar music, singing and dancing each night (tickets required) or visit the free-to-view Guitar Museum, where over 60 guitars from the past three centuries are displayed. Before or after the show you can soak up the unique atmosphere of Santa Cruz as you enjoy classic Spanish wine and delicious tapas. A visit to the Seville Aquarium is a must for any visitor travelling with children, or anyone who has an interest in wildlife. This modern attraction opened in 2014 is home to over 7,000 aquatic animals and features excellent interpretive exhibits. The aquarium is themed around the voyages of discovery of the Spanish adventurer Ferdinand Magellan (1519–1522) and your tour will lead you in his footsteps from Spain to the Amazon and beyond. Children will enjoy the chance to get up close to aquatic creatures at the petting tank and there is an enormous shark tank featuring a walk-through tunnel. The colorful reef tank is home to brightly hued fish from the tropics and you can pick up a souvenir at the shop after your visit. Even the most dedicated history and architecture buffs can suffer from sensory overload after a few days of exploring Seville’s national treasures. If you would like to escape the city for a few hours, you could consider an Ecotono Birding or Nature Tour, which will get you into the countryside for some exercise and wildlife watching. Ecotono will customize your tour based on your wildlife or nature preferences – one option is to visit the Sierra Norte Mountains outside Seville for bird watching and nature walking. Birding tours are accompanied by a qualified ornithologist and everything you need for a successful excursion – English-speaking guide, binoculars, viewing scopes, and so on – is provided. If you enjoy combining sightseeing with a little exercise, then Elecmove Electric Bikes may be just the thing you’re looking for. You can feel the sunshine on your arms and the cool breezes in your hair as you set off to explore the wonders of Seville on two wheels. Elecmove Electric Bikes offer bike rentals that enable you to go it alone at your own pace, or you can join one of their carefully curated group or private tours. 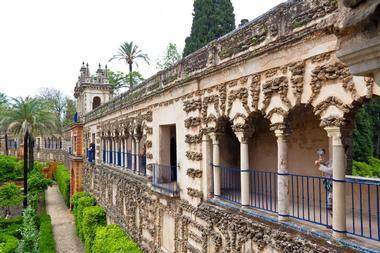 The Introducing Seville Tour will take you to all the highlights of the city, while Adventurous Seville digs a little deeper to reveal some of the city’s hidden gems. 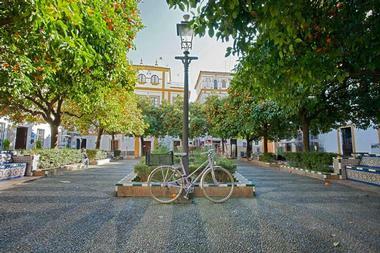 The Cycling and Tapas Tour is self-explanatory and there are several other options to choose from. The iconic Giralda has been standing guard over the city of Seville for hundreds of years and had the distinction of being the tallest structure in the city for over 800 years. The 103-m structure was originally built as the minaret of the Aljama mosque in 1195 and features a series of 35 gently ascending ramps that were originally used by horses or donkeys to carry the muezzin to the top of the minaret. 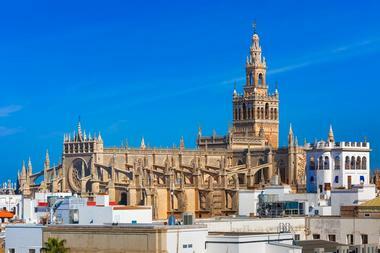 Today the Giralda is the bell tower of the cathedral and is a UNESCO World Heritage Site. You can climb to the top of the bell tower to admire sweeping views of the city, the Alcazar, and the entire Santa Cruz area and to get an up-close view of the intricate Gothic details of the cathedral’s architecture. You can get a whole new perspective on the city of Seville by embarking on a scenic cruise on the Guadalquivir River with Guadaluxe River Cruises. The company offers visitors a variety of cruise options on a selection of eco-friendly boats, which produce no carbon dioxide emissions – the electrically powered boats are easy on the environment and totally silent. 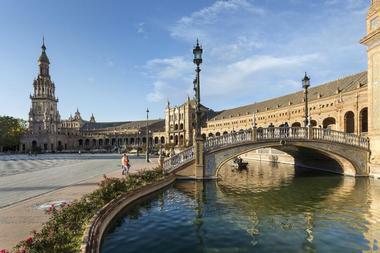 You can opt to follow an established tour route to see some of Seville’s lovely river bridges and historic attractions or put together your own unique water-tour itinerary. 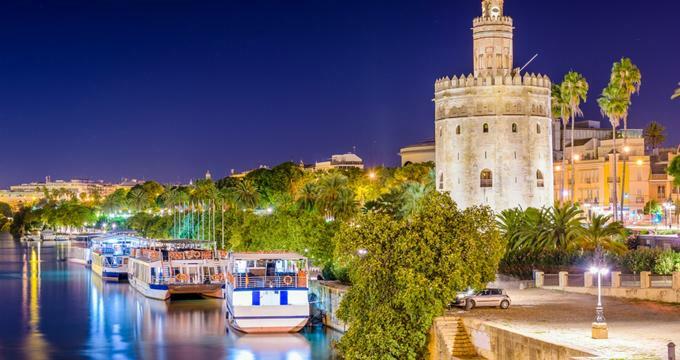 You can also choose a tour that combines a river cruise with a flamenco show or a delicious on-board catered dinner – a great way to celebrate a romantic occasion in beautiful Seville. If you are a new visitor to Seville, you can unlock the secrets of the city and greatly enhance your experience by going on a guided walking tour with GuiArte Tours. The 2.5-hour free walking tour will lead you along a cultural route, show you many of the prominent city landmarks, and tell you all about the history of the city. 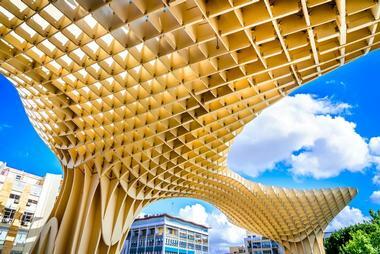 This tour is offered every Friday, Saturday, and Sunday at 11.00an and starts at the Metropol Parasol – you can rest assured that your guide will go out of their way to bring Seville to life and earn a good tip. The company also offers several other options, including tours of the historic Jewish Quarter, the gardens of Parque Maria Luisa, and the Alameda de Hercules, Europe’s oldest public garden. 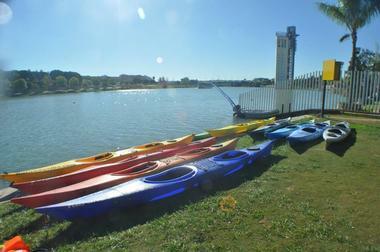 Energetic visitors who would like to combine their sightseeing with some exercise might like to consider a guided kayak tour along the Guadalquivir River, which runs through the heart of Seville. You don’t need to have any prior kayaking experience to take part in this fun activity – the outfitter insists that all participants undergo a “baptism” class before taking to the water. You can go it alone in a single kayak or share the paddling with your best friend in a double kayak. Even if you have already toured the main city attractions, you will see them all from a completely different perspective when you are on the water. KaYak Sevilla also offers night kayaking – a magical after-dark adventure to see the city lights (May to September only). The Maria Luisa Park is a large and popular green space which was host to the 1929 Expo. You can spend a few peaceful hours exploring this beautiful public park, which is filled with hundreds of exotic shade trees, wide-open avenues, interesting buildings, and colorful Moorish fountains, pools, and tiled benches. 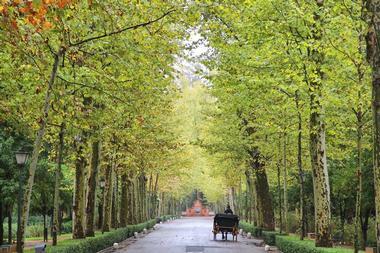 If you need a rest from walking, you can take a romantic horse-and-carriage ride or a boat ride on the canal. Families can rent a bicycle-for-four to pedal around park and have the kids loose to run around and let off some steam. 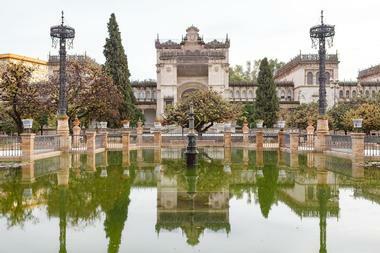 You should not miss visiting the impressive Renaissance/neo-Moorish Plaza de España, which is a highlight of the park. Other attractions in the park include the Archaeological Museum and the Museum of Art and Popular Costume. The modern, minimalist Metropol Parasol has been an iconic and controversial landmark in Seville since it was constructed (at great cost) for the 1992 Expo. You will find the remarkable structure right in the heart of Seville in Plaza Encamacion, where it draws just about equal quantities of admiration and denunciation from the locals, who refer to the structure as Las Setas – the mushrooms. The waffle-like wooden structure took six years to build and is said to be the largest wooden structure in the world. You can access the elevated observation deck for some amazing views of the city, have a meal at one of several restaurants, attend a concert in the open-air concert venue, and visit the Antiquarium archaeological museum in the basement. The Flamenco Dance Museum is a living museum dedicated to bringing the magic of flamenco to life and teaching visitors all about the evolution of this ancient Spanish artform. The museum includes several multimedia galleries with interactive exhibits, including photos, music, and videos. After you have explored the museum, you can attend one of the nightly live flamenco shows presented in the small courtyard theater. The museum is located in a historic 18th century building, which lies over the foundations of a former Roman temple in Santa Cruz, one of the oldest parts of the city. After the show, you can absorb the unique atmosphere of Santa Cruz in one of the many tapas bars and restaurants. 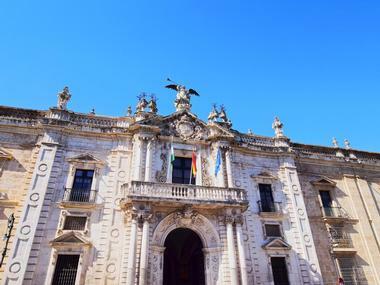 Art lovers should set aside at least a half day to explore one of Seville’s gems, the truly remarkable Museum of Fine Arts, which is home to priceless collections of some of Spain’s most notable artists such as Velázques, Zubarán, Murillo, and Juan de Mesa. 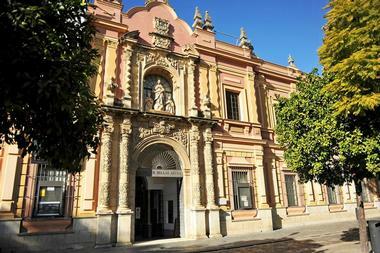 The collection is housed in a delightful salmon-colored former convent dating back to the early 1700s that is a fine example of Andalusian mannerism and is well worth visiting in its own right. The permanent collection you can see today includes paintings, ceramics, decorative artworks, and sculptures and the museum regularly hosts travelling exhibitions. If you visit on a Sunday you can pick up a souvenir or two at the outdoor art market besides the front entrance, where local artists sell their work. 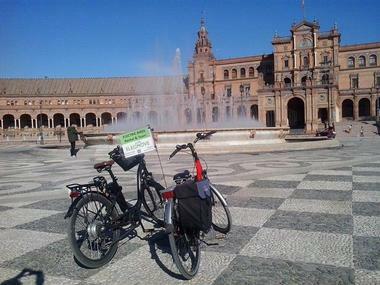 Naturanda is a tour company that provides environmentally friendly tours in and around Seville. Their team is made up of dynamic young guides who have studied history, ecology, and culture and are exceptionally well equipped to bring the sights and history of Seville to life. You can choose from a wide variety of Naturanda tours, including the option of seeing the sights by bicycle, boat, or bus. In addition to leading guided tours of the city highlights, they also offer day tours of several other interesting destinations, including ecological tours to Don?ana National Park for bird watching, hiking, dune exploration, and wildlife watching as well as history and culture tours to the Roman ruins of Italica and several other interesting tourist attractions. As the name indicates, Not Just a Tourist (NJAT) is a tour company that strives to make tourists feel as though they really belong among the Seville locals. You can book a regular tour of the Seville highlights with NJAT, but what they really specialize in is leading you off the beaten track and showing you all the well-kept city secrets. If you want to go hiking they can arrange it; if you want to learn how to cook Spanish food or dine at a private Spanish home, they will make it happen. The company caters to groups of all sizes and will customize an itinerary for younger visitors. 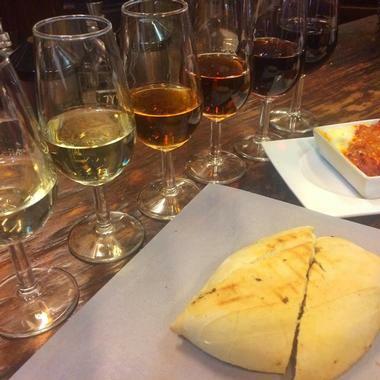 Foodies can choose from a variety of special-interest tours, including olive oil tastings, Iberian ham tastings and, of course, sherry and wine tastings. 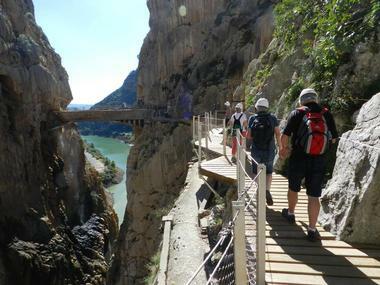 When you need a break from sightseeing and shopping in the city and want to work off some of the marvelous tapas you’ve been eating, Outdoor Sevilla will put together exactly the right kind of outdoor adventure. If you are feeling the pull of the ocean, they can arrange surfing, windsurfing, and kite-surfing excursions and there are several options available for guided kayaking and other boating tours. The company can also arrange to take you on a rock climbing adventure, a hiking expedition, a cycling tour, or just about any other adventurous outdoor activity you can care to name. Calling all adventure-sport junkies – Paraiso Andaluz is a vibrant and exciting adventure company that thrives on taking visitors to have the time of their lives in some of the most beautiful spots in Spain. You can take your pick from a large variety of adrenaline-boosting activities, including bungee jumping, sky-diving, zip-lining, and rock-climbing or stick to something slightly less hair-raising like a kayaking expedition, a caving tour, or Xtreme Trekking. Lessons are provided for novices and to make sure that you get some amazing photos to take back home with you, all the action will be recorded using professional GoPro cameras. 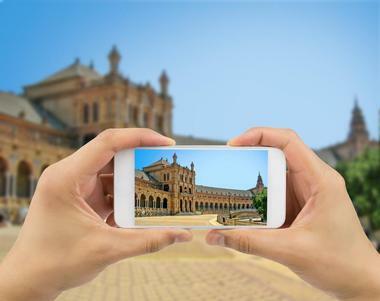 Photo Tour Seville are a group of innovative professional photographers who have come up with the wonderful idea of offering visitors a whole new way of taking home an exceptional photographic record of their holiday. Instead of spending half your holiday trying to snap the perfect picture (or carrying around a selfie-stick), you can have your own professional photographer on hand to snap winning shots of you and your partner, family, or group having the time of your life in Spain. The photographer/guide will accompany you on your sightseeing to up to three different locations and do all the work while you have all the fun. 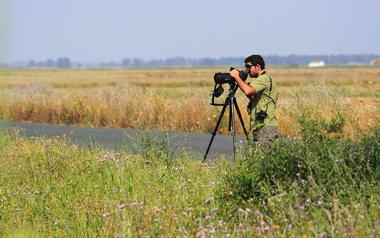 In addition to Photo Tours the company also offers photographic workshops. Plaza de España is one of Seville’s most impressive buildings both in scale and design, and was built for the Ibero-American Exhibition of 1929 in the grounds of what is today the Maria Luisa Park. The interior of the building is not open to the public but you can stroll around the enormous structure and admire the rows of beautifully tiled alcoves, (each of which represents a different Spanish province), the impressive towers at each end, which are tall enough to be seen from all over the city, and the Renaissance/Moorish architecture. You can hire a small rowing boat to navigate the 500-metre canal that flows besides the front curve of the building and is crossed by four ornate bridges. Horse-and-carriage rides are another option for admiring the park and the plaza. The Royal Tobacco Factory is a must-see Seville attraction for anyone interested in history, architecture and, surprisingly, opera. The Royal Tobacco Factory was commissioned at the start of the 18th century by King Fernando VI and originally featured a defensive moat and drawbridges as well as a prison and guardhouses. The structure took over 40 years to build and was the largest building in the country. Today the former factory houses part of the Seville University and you can tour the beautiful building on the free guided tour each day at 11:00am. The well-known opera Carmen was set in the factory and was based on the life of Carmen, who was one of the cigar makers. The concept of offering free tours to visitors is not new – it started in Berlin around 2004 and has been so successful that several other tourist destinations have realized the potential of offering budget-conscious visitors the chance to fully appreciate their destination. It works this way – you join the tour of your choice and then make a donation at the end of the tour based on your enjoyment of the experience. The guides are all knowledgeable and enthusiastic and will do their very best to give you a great experience and earn a good tip. You can choose from the Casco Histórico Tour, which covers all the main historical sites in the city center, the Misterios de Santa Cruz Tour, which delves into the legends and mysteries of the old Jewish quarter, and several more equally appealing options. For several centuries the towering Gothic edifice that is the Seville Cathedral has been one of the most prominent landmarks in the city. As you step through the door, it is the sheer size and grandeur that are immediately evident, and on further inspection you will become aware of the elegance and balance of the overall design and the restraint of the decoration. You can climb to the top of the Giralda (bell tower), which was originally built as the minaret of the great Aljama Mosque, which originally occupied the site of the cathedral in the 12th century. Do not miss the chance to visit the imposing and elaborate tomb of Christopher Columbus, who was laid to rest in the cathedral. The cathedral has been awarded UNESCO World Heritage Status and should not be missed.